EUROMAC has served the foundry industry for more than 50 years, originally under the company name “C.P.F.”. Our speciality is the manufacture of Core Making Machines and associated Sand plant, Green Sand Moulding lines, Metal handling and treatment equipment. In the factory in Italy, Euromac looks after to all the production phases. The facilities is completed with high specs CNC machines & high performance workstation. 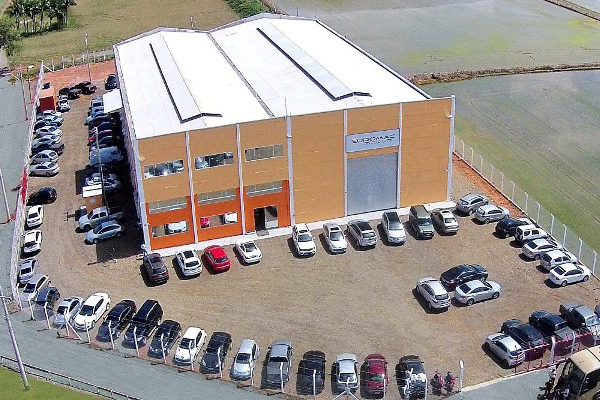 Furthermore EUROMAC is focused also on South America market where our branch facility has been built in Brazil. EUROMAC‘s philosophy is to pay special attention to details and the individual needs of our Customers. We believe in a flexible approach in dealing the requirements coming from our Customer because our daily engagement is giving solutions to the various applications, also of the smallest productive realities.